There's so many vintage inspired brands, and yet, so little time! (And funds!) Experienced shoppers know that you can find a bunch of these brands in swap groups (mainly on Facebook or Pinterest), eBay, Poshmark, and some other resale sites that have popped up over the years. Here's what I've deduced over the years of trying to track down items I missed out on the first time around! I hope this helps your shopping habits! I also list my "ones that got away" in hopes someone has a lead! Let me know which ones got away from you in the comments! Disclaimer: This is a partial list as I am only one human. Some brands I'm just getting into now and am still wrapping my head around their selling patterns. Other brands are so new they're barely on resale sites. And other brands I just haven't developed as big of a love affair with (yet). Feel free to sound off in the comments about any brands that are missing! Without further ado, from low to high...here we go! What to Expect: I'm surprised that these sister brands go for so low on the resale sites! 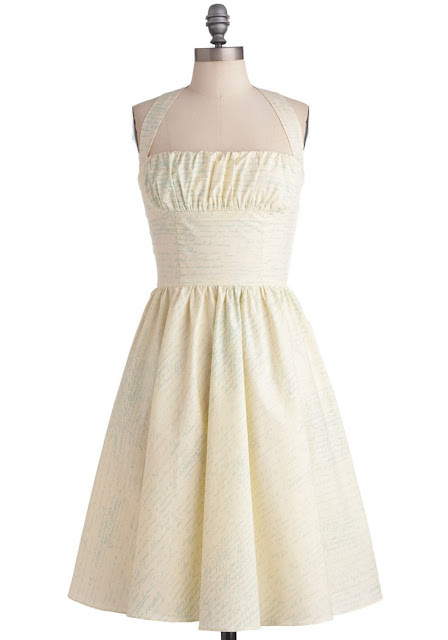 I personally love these dresses more than most vintage-y brands. They retail for between $60-$120, so it is a little shocking that it's relatively easy to find them for $20-$45 on eBay and Poshmark. My guess as to why this is is because many stores, like ModCloth and Unique Vintage, do several HUGE sales that are often sales on sales, and finding a Folter or Retrolicious dress for $40 isn't hard to do. And, as much as I love the brands, they are cotton sundress and unlined, so maybe people don't want to ask or too much? Whatever...I get to feel like I'm borderline stealing so I'm not going to complain! Worth Noting: Sometimes dresses of this brand that are sold out elsewhere show up on eBay by very small independent sellers. They are still new, so sometimes the price is closer to (if not exactly) the original retail price because it's unworn and still a newer style. I'm not counting these, as this is a resale list. But don't be alarmed if you see a higher price on eBay as it's probably for this reason. Bonus Tips: Some dresses are easier to find than others. Some seem like once they're gone, they're gone (at least in your size). Others pop up frequently. 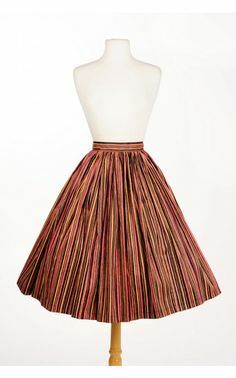 My ultimate Folter or Retrolicious dress that got away? This pink ghoul dress! I have the green sleeveless version (above) and I wear it all the time. The outfit I styled is possibly my favorite outfit in my closet; I wore that exact styling to my most recent birthday. I've never seen this pink one pop up anywhere and I'd love to acquire it in a small. I could even still wear my Barbie head platforms with it!! What to Expect: Hell Bunny is usually retailed at a relatively medium price point, starting from anywhere for $50+ for a skirt and $75-$90 for a dress. Sales make a lot of their items really attainable, which is possibly why when owners put their pieces up for sale it's not usually for too much. I've seen any kind of piece go for as low as $25 and they'll rarely cap $50. There's a few rare pieces (including stuff I'm hunting for...) that may go for more because they're rare and highly sought after, but buying secondhand Hell Bunny is usually a real bargain. Bonus Tips: Most will pop up again, however there are some coveted dresses and skirts that seem to disappear for forever. After getting the black Hell Bunny Candy Floral Circle Skirt nearly 3 years ago, I decided to "collect them all." I found the pink and blue ones with relative ease, but the yellow and the red are still sorely missing from my closet. I desperately want both, but yellow is my favorite color so I chose the yellow one as a priority. If anyone knows where I can find one in an XS, please hit me up! What to Expect: This one is harder to rank because ModCloth now has it's own house brand, but for many years they've ONLY carried countless indie brands (and still continue to do so). So while some brands go for $12 on eBay, others can be closer to the actual retail price (often closer to three digits). All of this depends on how popular a brand is, how expensive the retail price was, how sought after a piece may or may not be, and what kind of condition the item is in after some use. Most things pop up on eBay or Poshmark after a huge ModCloth sale, likely because people can't return final sale items, so if you can stand waiting to buy second hand it can be a gamble that will work in your wallet's favor! Worth Noting: It's almost impossible to state how frequently things pop up because we're dealing so many different brands and an immensely expanding inventory. Some things do seem to slip away for forever, but a fair amount comes back around on eBay if you check often. 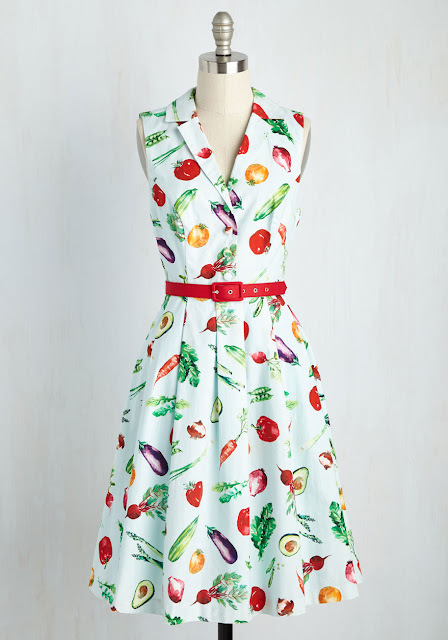 I literally had the last XS It's an Inspired Taste Dress in Vegetables in my cart the day it dropped to below $50 but someone purchased it before I could complete the transaction! I've been haunted ever since! I own the mint/pink solid It's an Inspired Taste Dress as well as the flamingo print one and love both, as I'm totally obsessed with shirt/button down dresses. I'm stunned that this dress has not only not popped up in my size in nearly the year since it sold out, but I seldom see it in other sizes floating around sale websites! What to Expect: Tatyana can run the gamut a bit as well, in part because some pieces do amazingly well and are forever many girl's "unicorns" and some (simply put) are not as popular. $50 is a popular price point on resale sites and probably a fair average as well. I'm actually racking my brain to remember any second hand sale pieces I got from Tatyana, but I'm not sure I have acquired any of my items via resale! (Thank goodness for borderline ridiculously good sales and restocks on their site!!) I've been tempted for sure and lost in bidding wars on eBay because something went for higher than expected, so this is worth noting. Some pieces are coveted and rare, so while you'll likely get a deal...there's no guarantee you won't end up paying close to full retail depending on how intense a bidding war is! Worth Noting: Lately I've seen a lot of things on my watched eBay list that I thought would have been rare. For instance, earlier this week I saw 3 of the Nesting Doll dresses (above) in my size pop up and only one of them was listed at a high price point. Before Tatyana restocked the dress last year, people were ready to offer up their first born to get their hands on that dress. Now that it's been restocked and has sold out yet again, this doesn't seem to be the case. I don't know if this is indicative of Tatyana's worth changing in the resale landscape or if it is a fluke. Bonus Tips: As I alluded above, Tatyana seriously has the best sales. Though it can be unpredictable, they can do site wide sales ranging from 20% off to 70% off. Whoa. This is why I probably haven't gotten a Tatyana dress from eBay; it was easy to snag one during it's original run with these sales! Also, ask the seller about specific measurements if they aren't already listed. I love Tatyana, I do. Their quality is near perfection and I find their pieces surprisingly versatile for a vintage-meets-modern fashionista like myself. But as I wrote about recently HERE and a year ago HERE, their sizing keeps changing. I'm currently done with Tatyana until they add a size smaller than XS or I hear from one of my virtual "size twins" that they've changed their fit model in my favor. A size that fits you in one dress may be a different story for another dress, depending on the season it came out. This dress is SO rare that I had to try 10 different Google searches to even find an image of it. Part of the problem is that Tatyana used to be called Bettie Page, and this dress came out when they were still Bettie Page. 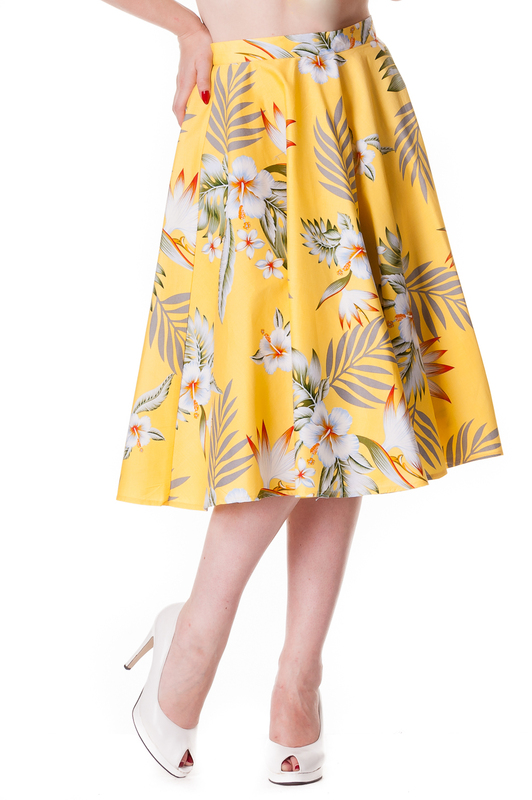 (Not to be confused with the fact that there's a NEW Bettie Page vintage reproduction company now...) But this Paradise dress is beautiful. I tried to get it on eBay 2 years ago and had no idea how rare it was and got priced out the bidding war very quickly. I have not seen it pop up since. Bonus Tips: I've had very good luck tracking down dresses from Bernie Dexter, but I've also been a fan of hers for nearly four years so I've had that much time to do so. There are a few that I've never seen in my size though, and I even rarely see them in other sizes. According to a Bernie FB group I'm on in Facebook, a few people seem to be "hunting" the same dresses or have virtually no leads on where I can find the ones I've missed out on. And when I see girls posting about their ISOs (in search of), I have no leads for them. It seems whatever one may be searching for from Bernie, it's the one that's going to take a year plus to track down (and may be super competitive). However, joining a Bernie group and discussing your loves with other fashionistas can be fruitful. My friend Kara from The Dressed Aesthetic tagged me in the comments of an Instagram sale last week because she remembered my ultimate Bernie that got away (below) and even though it was 2 sizes too big, she wanted me to know it was out there just in case I could be flexible with size/altering. So while hunting for a rare Bernie can be competitive, fellow Bernie fans are hugely supportive and helpful in your search because they get where you're coming because they've been there/still are there for another dress. I highly recommend connecting with other girls who share your rabid fandom of a brand. This is actually my "ULTIMATE" unicorn, across all brands. On ModCloth it was called "Always Yours in Script." I need an XS, though I'd settle for a small now and make it work/alter it. Please be a pal and let me know if you find this/are selling this! The Bernie Rocket dress is really cool too, as are a few other halters I haven't yet acquired. The purple cabbage Veronique is possibly my second most lusted after dress that I don't have. I most recently nabbed the yellow cherry dress in my style after years of searching for it, so I have not given up hope on finding the others! I might be biased as the halter is my favorite Bernie style, but I think they're the most rare. She discontinued the style a while back and most of her fans prefer more pinup-y looks, so those dresses are more dime a dozen. Her halter dresses seem to disappear for a while and then slowly some pop up again. 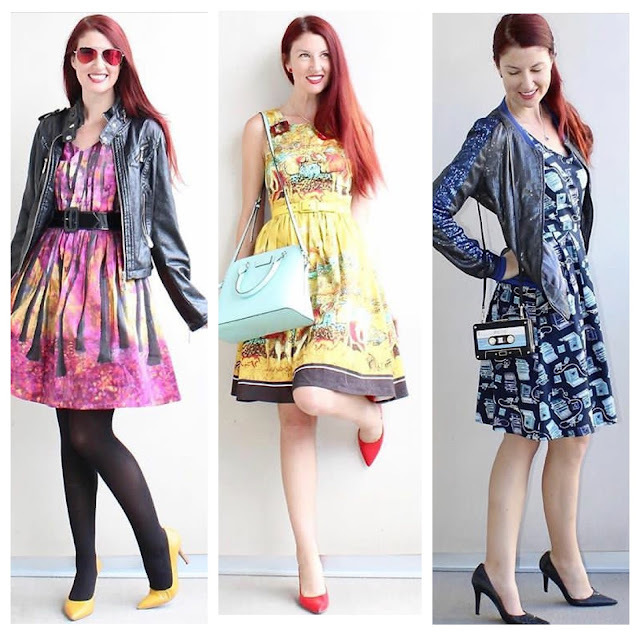 Any style that Bernie only did a few prints in a certain style or has discontinued a style a while back are going to be the dresses that are absolutely harder to track down. Worth Noting: I'd say searching for PUG is very similar to searching for Bernies; a lot will pop up sooner or later but some are MIA for years up on years. The blue cabana stripe skirt (above on the left) I spent two years searching for before I found it last summer on eBay. I'm STILL searching in vain for it's warmer color counterpart. Bonus Tips: PUG predictably has a 30% off (or more!) Black Friday sale every year and this includes sale items. Obviously it's impossible to know which sizes in various styles will sell out upon their releases before Black Friday, but in the past I've practiced stocking up on Black Friday. The price is usually the same for finding the same items on eBay, but without the wait, frustration and heartbreak. I recommend this method if you really want something but want a bargain. This warm cabana stripe Jenny seems impossible to find in any size, but it's certainly never popped up in a size small since I've been stalking eBay! Not getting the green monster Jenny skirt and the Alice in Wonderland card Jenny skirt is haunting me. 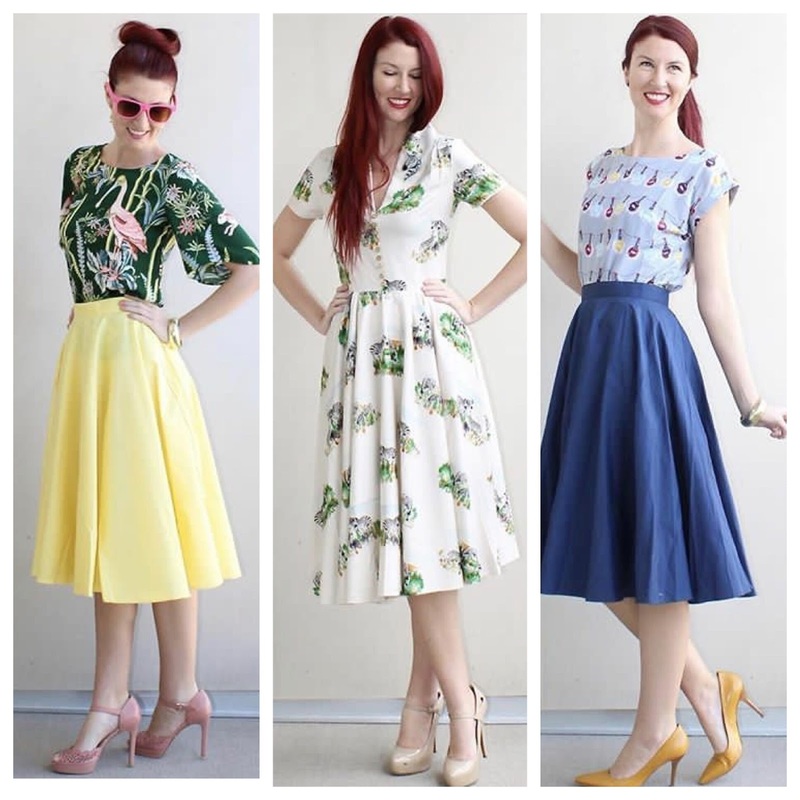 (I have the Alice one in the Renee dress but I'm not super in love and would swap/sell in a heartbeat for the Jenny skirt). What to Expect: If I owned Trashy Diva, I'd be mega tempted to be (borderline) shady and hoard away every style in various sizes and resell them a year or two down the line after they initially "sell out" on eBay. Why? This is the one brand that will usually not only resell for a price dangerously close (if not exactly) the retail asking price (dresses are often $180), but sometimes it exceeds the initial retail price! If I owned this business, I'd want some of that cash that my buyers eventually make! It's not just that fans of TD are of the most loyal and foaming at the mouth variety; PUG and Bernie Dexter have rabid fans too and all are within comparable price points. I don't believe Trashy Diva historically restocks (though I believe they have started doing so recently), and given that their sales are a bit more rare, less girls acquire the pieces that they went. Supply and demand! There just isn't enough Trashy Diva going around to make the prices be low! Once a piece I want sells out on the site, I cry a little on the inside and then walk it off. I've never been lucky in the resale game with TD, and part of that it because I just can't justify how high the price tag always goes in bidding wars. So if you really, really, REALLY want something from Trashy Diva...just get it now. Future you will thank the you of today. Bonus Tips: Swap groups may be your best bet to track down what you want. I really like the Trashy Diva that I have, so I'm not prone to swap. But a lot of women find some really, really, REALLY rare finds through these groups because they swapped something or bought personally through another member for a high but fixed price (and not through a rabid bidding war). Like Tatyana, absolutely ask for the measurements if they are not listed. Every run of Trashy Diva's collections come with their own size charts, so that can make obtaining the right size confusing at face value. What are YOU searching for? Any tips I missed? Have any insight on brands I did not mention! Sound off in the comments! I'll definitely do a part 2 one day as I figure out more brands resale habits! I hope you had a good holiday yesterday if you're in the US! If you liked this post and want another post breaking down stuff about various brands, check out my post from last year about all of the brands upping their novelty print game HERE! EDIT on 7/7/17: In the two days since I posted this I've gotten huge numbers thanks to readers and friends sharing this in various online groups relating to the content. Firstly, thank-you! I'm thrilled so many people are getting something out of this post! When one writes a guide like this, it's the goal to be relatable, accurate, and helpful so I'm sincerely glad that this post is blowing up! Secondly, it would be remiss of me not to report some common comments I've gotten that I found interesting! A lot of people who have a lot more selling experience than I do keep reporting that a) a lot of sellers are saying that sometimes things ebb and flow for how quickly they can make sales and b) apparently right now selling is at a lower point. Though this post was catering to a buyer's perspective, the flip side is a very interesting point. A lot of comments and discussions have been had about how this may be happening due to an overwhelming amount of inventory being released constantly. I think this is true; I've grown apathetic to some prints I've loved because I'm just too overstimulated with too many items, old and new. In other words, if you are a buyer and not a seller, now is a good time to peruse swap groups as you have a real shot at getting something you love without fighting other mammals at the watering hole! And if you're a seller, I hope things turn around soon!! Thank-you again to all reading and sharing this post, and any other Grace Rock Kelly Roll posts! Have a great weekend!! Interesting perspective! I'm not a big seller so I don't have that experience either or. I re-read the post about all of the novelty prints coming out from last year that I linked at the bottom of this post and it made me nostalgic and overwhelmed. I know a lot of brands have been around for a while, but social media has been what's it's been for only a few years (in regards to blogging, outfit sharing, and brands using Instagram and Facebook as legitimate advertising forces). When I got into this a few years it seemed each brand has less releases and people didn't post about missing items as much. Now there's been so much inventory that it's overwhelming, especially over the past year as most brands upped their novelty print game. It's honestly been overwhelming and hard to keep up, and I'm saying that as a huge fan. I can totally believe what you're saying. There's a lot of things out there that I still want but didn't list in this post, as well as things I used to want but have just grown apathetic to. I have a huge wardrobe and while I'll never be "done" collecting, the line has to be drawn somewhere. I can only imagine how many others feel the same, which may be a factor into why selling is getting harder. Personal style is also always evolving; I know a few girls who are less interested in vintage styles now than they were a few years back. I've always been a vintage-meets-modern blogger, but in the past I favored vintage looks whereas this summer I'm going through a phase where I'm borderline favoring modern stuff. Also, some of these companies have gotten in trouble recently. I wonder if boycotting is impacting secondhand sales and not just new sales?? Of course this is when you're downsizing for the bambino on the way! But, give it time. I imagine a new crop of fans are only now discovering these brands and will soon discover the inventory they missed out on. I bet a lot of the people in the groups now have already acquired a lot of their major stuff they've wanted (I know I have, minus the stuff I featured here). Best of luck!!!!!! Loved this read. Hit it on the head! Great blog post Lauren, I find it more and more hard to re-sell my hardly worn garments, even from brands such as Bernie, Pinup Girl Clothing etc. I think the reproduction market is constantly growing and everyone wants brand new!